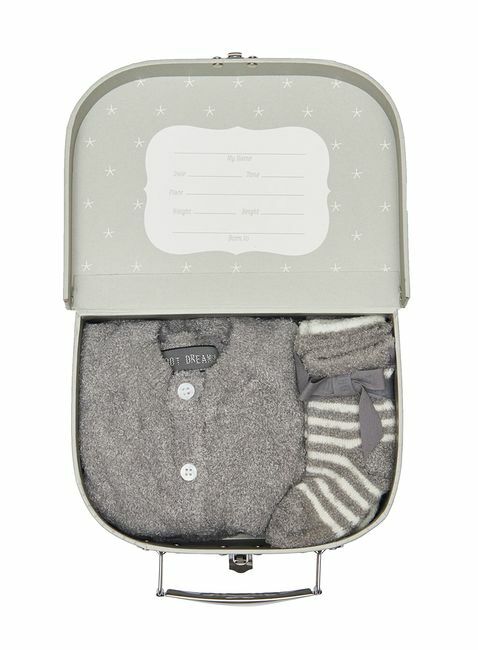 Coming home from the hospital just got way cooler with our Baby’s First Suitcase ensemble! This is every newborns "must have" when it comes to being enveloped in super soft luxurious coziness for their first trip home. 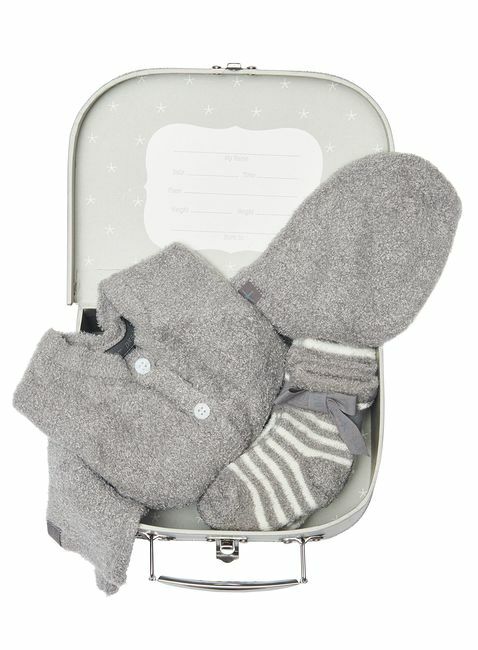 Each suitcase ensemble includes a CozyChic Lite cardigan, pull on pant, beanie and 3 pairs of socks! 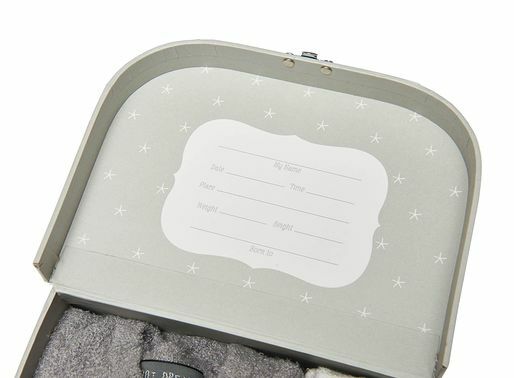 Not only that, the suitcase doubles as the perfect keepsake box that details important info; Name, Date, Time, Place, Height, Weight and Born to. 80% Nylon, 20% Rayon from bamboo. We used this outfit for my son’s newborn photo shoot in the ivory color and it was perfection! I wish I could attach a picture to show how beautiful they turned out! I would HIGHLY recommend this outfit. It’s also so soft for that sweet baby skin!